At least 20 people have been reportedly shot in San Bernardino, a city located about 60 miles from Los Angeles, and 14 are dead. Suspects are still at large. 5:06 p.m. ET: “These were people who came prepared,” were armed with long guns and not hand guns, says a police spokesperson in a news conference. 5:01 p.m. ET: Police in a news conference say at least 14 people are dead in the shooting. 4:40 p.m. ET: Center official says the shooting was conference area, and it’s unclear who was meeting, reported CNN. 4:30 p.m. 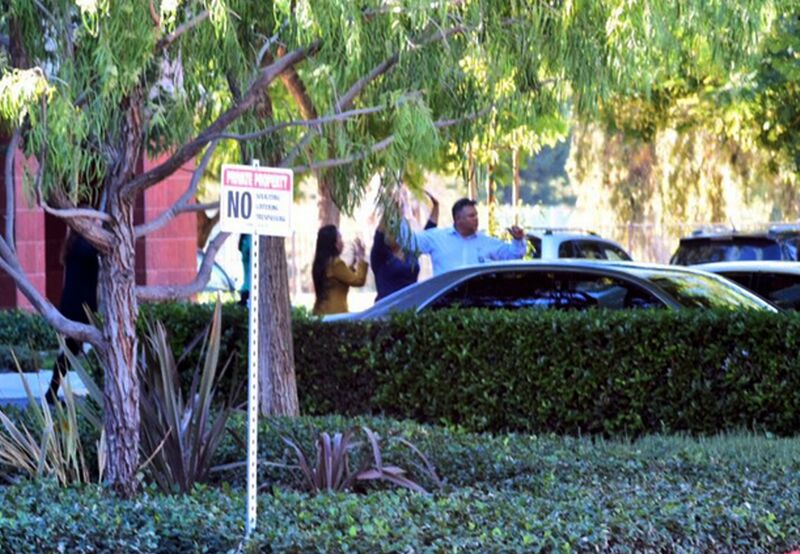 ET: Schools in San Bernardino were placed on lockdown. 4:20 p.m. ET: AP, citing police, say there are “some reported fatalities” after the shooting. 4:10 p.m. ET: The status of the suspect–or suspects–is currently unknown. 3:40 p.m. ET: A video of people being evacuated to a nearby golf course was uploaded on Twitter. 3:36 p.m. ET: A White Official said that President Barack Obama was notified of the shooting. Meanwhile, the FBI and Homeland Security said they’re worried about the coordinated nature of the shooting. 3:25 p.m. 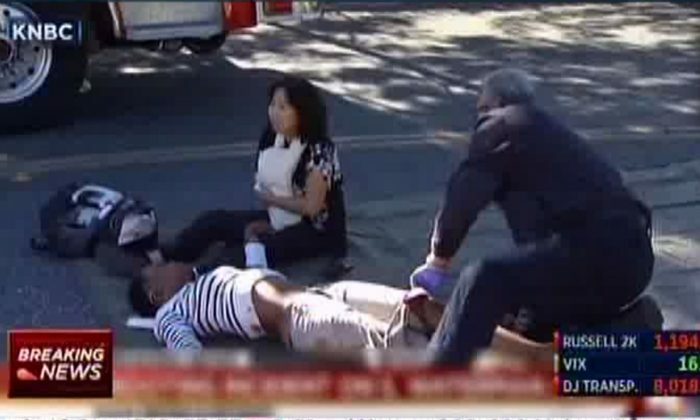 ET: A San Bernardino spokeswoman said the suspects were heavily armed and wearing body armor, reported Reuters. 3:17 p.m. ET: “They locked themselves in her office. They seen bodies on the floor,” said Marcos Aguilera, whose wife was at the regional center, according to KABC. “People shot. In the office waiting for cops. Pray for us,” wrote one woman in a text message to her father, reported CBS LA. 3:07 p.m. ET: Police are taking up offensive positions, CNN reports. BREAKING: Agents from ATF’s Los Angeles Field Division are responding to the scene of the San Bernadino shooting. The incident was reported at the 1300 block of South Waterman Avenue, the Fire Department tweeted at around 11:15 a.m. The San Bernardino County Sheriff’s Department warned people to stay away from the area of the incident. It’s not clear how many people were injured. The SWAT team is on the scene. Firefighters have set up a triage center to assist victims shot in the casualty incident, KNBC reported. Meanwhile, law enforcement agents are working to evacuate people from the Inland Regional Center, Doug Saunders tweeted. 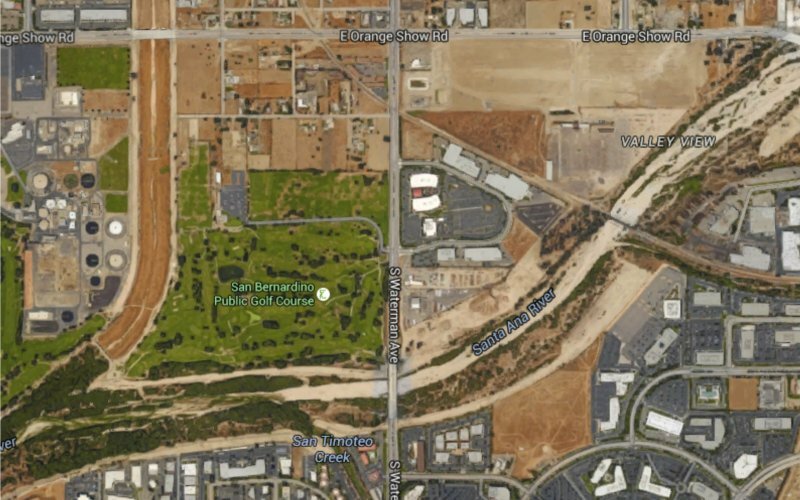 A “hard closure” was in effect at Orange Show Road and Waterman Avenue and Park Center Circle in San Bernardino, said police on Twitter. Photos uploaded on Twitter show heavily armed police officers surrounding a San Bernardino neighborhood. The shooting suspect reportedly was not captured as of yet. Other details about the shooting weren’t immediately available. This is a breaking news update. Stay tuned for more information as it becomes available.